Mark White showing good form. I'm sorry but I am still waiting for a full report from the regatta. Below are links to some documents Paul O'Sullivan put together from his experiences. 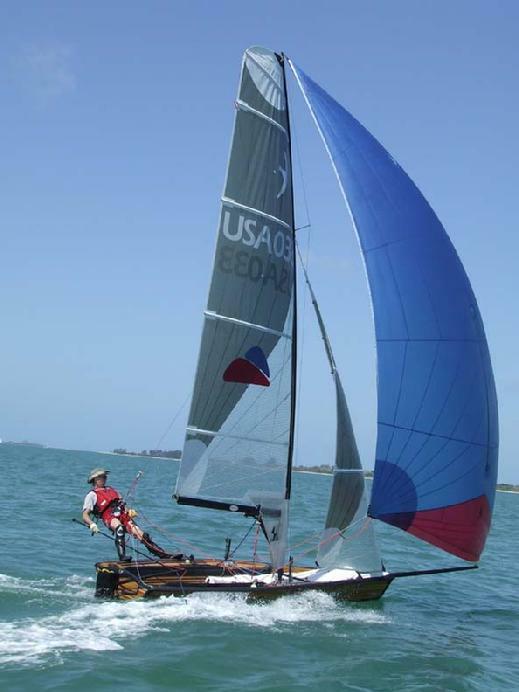 Paul O'Sullivan's thoghts on sailing a Swift and the clinics. Paul O'Sullivan's submission to Sailing Anarchy.